working with director Koratala Siva for a new movie. He is busy with the script work of the movie from some time now, and we hear that there is a role for Ram Charan as well. 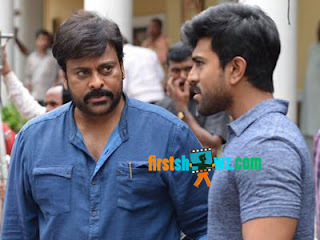 Ram Charan who is producing this big-budget commercial mass entertainer will once again share screen with his father Chiranjeevi. The both appeared in Magadheera, Bruce Lee and Khaidi No 150 movies. Let's wait to see how the script turns out. Chiranjeevi is meanwhile busy with Sye Raa, where the unit members are looking forward for new schedule of the movie soon. Sye Raa Narasimha Reddy which is also being produced by Ram Charan under Konidela Productions banner is scheduled for a release in summer 2019.